The 2011 Mazda RX-8 is a completely different kind of sports car, but if you plan to pay for a track membership you might want to take a look across the lot. The 2011 Mazda MX-5 is a back-to-basics sports car that you don’t have to drive fast to enjoy—and it has way more practicality than you’d probably expect. 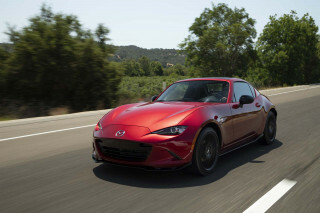 The 2011 Mazda MX-5 Miata follows a special formula that's made this model a standout in the market for more than two decades: bring a classic roadster look into the modern age with excellent reliability, great handling—and now, the past couple of years, a weather-tight optional power-folding hardtop. The catch is that there aren't a lot of frills—but plenty of thrills, for sure. Not much has changed with respect to the 2011 Mazda MX-5's appearance, and that's a good thing. Yes, you'll hear from some critics that the design is a little conservative and maybe a little on the soft side, but few people can deny that it's about the purest sports car design there is. And Mazda has kept is just enough on pace with its other designs, adding flared fenders and slightly more edgy details. Inside, the Miata feels basic but cheerful, with exactly the layout you'd expect for a classic sports car. Large, round gauges greet the driver front and center, and a short shift knob sits in easy reach. Chrome and silver accents have added a little more to the cabin look in recent years. Just as the 2011 Mazda MX-5 Miata carries on the look and feel of a classic British roadster, it delivers those wind-in-hair thrills with even better-than-expected performance. 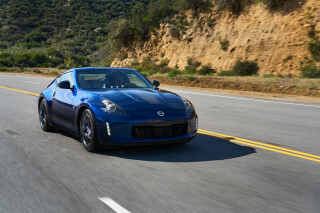 The 2010 Miata's four-cylinder engine—a 167-hp, 2.0-liter four—is very responsive and rev-happy, with sports car-perfect handling, quick short-ratio steering, and short-throw manual transmissions that are a joy to run through the gears. It's not a lot of power, but since the Miata weighs less than 2,600 pounds it can nevertheless get to 60 mph in about seven seconds. A near perfect 50/50 weight distribution makes its handling predictable, and the quick-ratio steering is both secure at speed and extremely fast for parking or emergency maneuvers. The Miata handles like a go-kart at low speeds and shows a surprising degree of poise for higher track speeds. 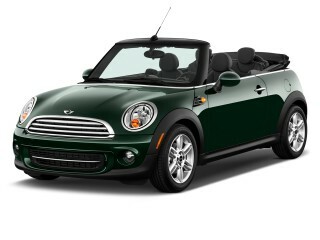 The standard soft top is easy to use and surprisingly weather-tight. Just flick the header latches and flip it over the shoulder (most will be able to use one arm) into a shallow holding area. The only downside of the soft top is noise; the Miata's top isn't as well-insulated as some pricier soft tops, and you'll get a fair amount of wind and road noise on the highway. Feature-wise, the Miata has just enough to satisfy most shoppers, but it lacks some items, depending on the trim level. Anti-lock brakes, along with seat-mounted side airbags, are on the standard-equipment list. But electronic stability control—now thought of as an essential safety feature, especially on cars that might be driven in a spirited fashion or ones that aren't as secure on slippery roads—still isn't standard on all models. Make sure you do get an MX-5 with it. Standard equipment, at least in terms of comforts, is about on par with that of budget-conscious small cars; features on all models include power windows, power mirrors, a CD player, and tilt steering. Touring models include upgraded wheels and tires, a trip computer, keyless entry, and cruise control, while Grand Touring models add leather trim, heated seats, and automatic climate control, among other features. 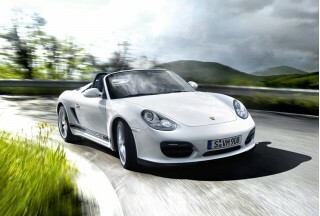 Options include the six-speed automatic, Sirius Satellite Radio, steering-wheel audio controls, and a sport suspension. The 2011 Mazda MX-5 Miata hasn’t become cartoonish or bloated; it still has the classic-roadster look inside and out, with near-perfect proportions. Not much has changed with respect to the 2011 Mazda MX-5's appearance, and that's a good thing. Yes, you'll hear from some critics that the design is a little conservative and maybe a little on the soft side, but few people can deny that it's about the purest sports car design there is. And Mazda has kept is just enough on pace with its other designs, adding flared fenders and slightly more edgy details. A couple of years ago, the Miata got a more aggressive front end and a revised rear bumper, along with new lightweight 16- and 17-inch wheels. Overall, however, it keeps with a very classic roadster appearance, featuring a long hood, short cockpit-like cabin, and rear decklid. Inside, the Miata feels basic but cheerful, with exactly the layout you'd expect for a classic sports car. Large, round gauges greet the driver front and center, and a short shift knob sits in easy reach. Chrome and silver accents have added a little more to the cabin look in recent years. The 2011 Mazda MX-5 Miata behaves like a true sports car, and is immensely satisfying to drive beyond its specs on paper. Just as the 2011 Mazda MX-5 Miata carries on the look and feel of a classic British roadster, it delivers those wind-in-hair thrills with even better-than-expected performance. The Miata already stood out for its rev-happy yet economical engine, quick, direct steering, and well-balanced handling. For 2009, the Miata got an improved gearbox as well as a raised redline for the engine that made it even more enjoyable to run the eager setup through its paces. The 2010 Miata's four-cylinder engine—a 167-hp, 2.0-liter four—is very responsive and rev-happy, with sports car-perfect handling, quick short-ratio steering, and short-throw manual transmissions that are a joy to run through the gears. It's not a lot of power, but since the Miata weighs less than 2,600 pounds it can nevertheless get to 60 mph in about seven seconds. A near perfect 50/50 weight distribution makes its handling predictable, and the quick-ratio steering is both secure at speed and extremely fast for parking or emergency maneuvers. The Miata handles like a go-kart at low speeds and shows a surprising degree of poise for higher track speeds. The 2011 Mazda MX-5 Miata comes with either a five- or six-speed manual transmission, depending on the trim level; a six-speed automatic is optional and includes steering-wheel shift paddles. In the opinion of the editors, though, the manual gearboxes have nice, neat linkages, with easy-to-manage clutches and are a joy—and the only way to go in a roadster such as this. Comfortable and refined aren’t words you’d use much in describing the 2011 Mazda MX-5 Miata; but it’s surprisingly practical. Inside, the MX-5 is small, no doubt, but roomier than you might think. Or very space-efficient, to clarify. The tallest drivers will want to double-check for enough headroom and legroom, though even this 6'-6" editor can wedge in, thanks to a driver's seat-height adjuster, plus seats that have been recontoured and made more supportive in recent years. The center console has a storage space that's adequately sized for the age of smart phones and chargers; there's also a padded armrest. Interior materials look nice enough but are a bit on the simple and cheap side, and it's even a little more spacious than before, though no one will complain about too much shoulder room in a Miata. 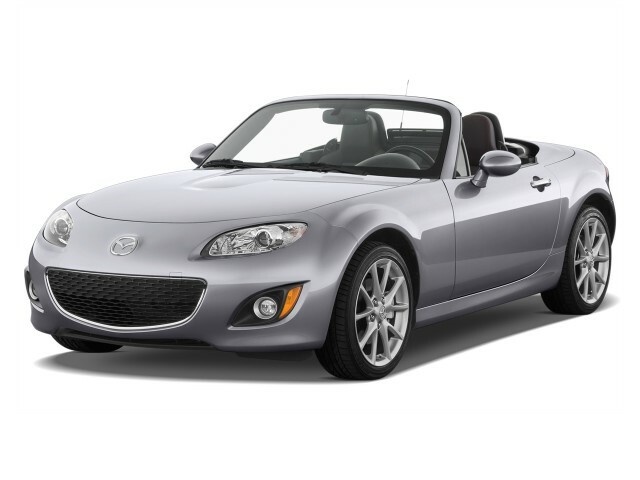 At the top of the 2011 Miata range is a PRHT (power retractable hardtop) model, which includes a thoughtfully designed power-folding top that looks and feels like one of the luxury-brand hardtops. The PRHT model adds very little extra weight, and the top stows away in just 12 seconds; unlike some other hardtop convertible models, it doesn't hamper the fun. When the hardtop is retracted and folded away, the Miata still has 5.3 cubic feet of trunk space. While that's much smaller than any sedan, it's large enough for most overnight bags or a couple of duffels. Most Miata models have a ride that's firm but not too uncomfortable, but the 17-inch tires are an option than can sully the experience if you live amongst frost-scarred roads. The 2011 Mazda MX-5 Miata is one of the few performance cars missing electronic stability control on some trims; there’s no up-to-date crash-test data either. The 2011 Mazda MX-5 Miata hasn't been crash-tested by either of the major agencies, which leaves a gaping hole for those concerned about occupant protection. 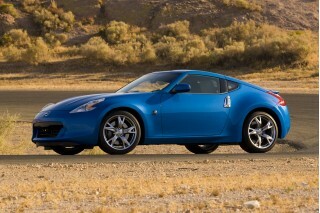 Feature-wise, the Miata has just enough to satisfy most shoppers, but it lacks some items, depending on the trim level. Anti-lock brakes, along with seat-mounted side airbags, are on the standard-equipment list. But electronic stability control—now thought of as an essential safety feature, especially on cars that might be driven in a spirited fashion or ones that aren't as secure on slippery roads—still isn't standard on all models. Make sure you do get an MX-5 with it. On a positive note, the MX-5's excellent poise and balanced handling, combined with its quick steering, do make it especially responsive in accident-avoidance maneuvers. The 2011 Mazda MX-5 embodies a keep-it-simple ethic, though some will be put off by the lack of some essentials like Bluetooth. When it comes to features, 'no frills' is the operative term with respect to the 2011 MX-5 Miata. That's true in its lower Sport or Touring forms, but the Miata can feel well-equipped, if not luxurious, in top Grand Touring trims. Even for 2011, Mazda Miata continues to lack some popular (and, some would argue, safety-oriented) features such as a Bluetooth hands-free interface, as well as tech features like a navigation system. One of the most clever features available on the Miata line continues to be the Power Retractable Hard Top (PRHT), a separate model that weighs just 80 pounds more than the standard soft-top roadster. The top takes just 12 seconds to fold away, so the effect on performance is minimal. The optional Bose audio system available on the MX-5 actually adjusts its equalization and settings depending on whether the top is up or down. The 2011 Mazda MX-5 Miata is greener than most sports cars. With EPA fuel economy ratings of 21 or 22 mpg in the city and 28 on the highway, the 2011 Mazda MX-5 Miata is about as fuel-efficient as most mid-size sedans. In all, that doesn't make it especially green, but it's not nearly as wasteful as most sports cars. Highway ratings are rather low for a 2.0-liter four, but they are what they are because of rather low gearing that keeps the engine revving on the highway. Bulletproof true roadster. Surprisingly comfortable.